Dr. Beau Beard is a Chiropractic Physician at The FARM: Functional Athletic Rehabilitation & Movement in Birmingham, which he founded with his wife in 2014. 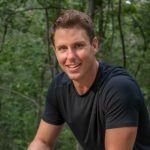 He has been featured in national publications, served as team chiropractor for local universities, taught classes across the U.S. and has also been a speaker on the TEDx Birmingham stage. Dr. Beard sits on the board of numerous non-profit organizations geared towards improving human health and fostering conservation efforts. In his spare time enjoys hunting, trail running and really any outdoor adventure. Connect with Dr. Beard on LinkedIn, Twitter and Facebook.